with gloss finish, images © 2010 by ybonesy. All rights reserved. I love ’em and hate ’em. If it weren’t for art shows, I don’t think I’d ever make art. In fact, making art in the midst of living the rest of my life is the pits. There’s got to be a better way to be consistent. But the good news is, I love making art again. How did I last however many months I did without it? My friend Laurence turned me on to these wonderful waxy crayons, and I happened to have a bunch of small (3″x 3″ — that small!) 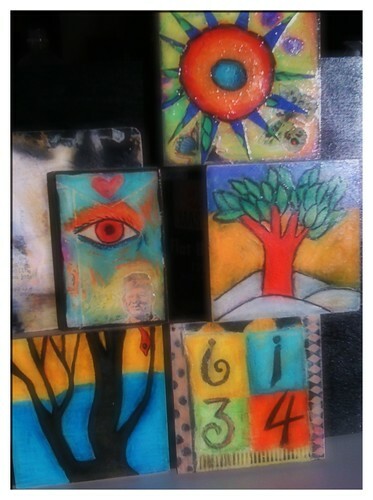 wooden canvasses, so I played around with collage and color. And I did my usual pendants and bracelets. 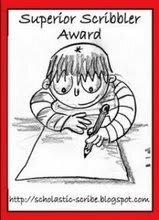 My dilemma: How to make art every day? Or every week, or even every other week? I love the tedium of it. It’s technical and minute, and even when I’m coloring outside the lines I’m still focused on one canvas. I love how my mind goes from being a net to being a funnel whenever I make art. There’s a sound associated with that feeling. It goes something like Ffvooom. That’s my lesson for today. Shows are hard, but shows are good. They make me show up for my art. And if I limit myself to two a year, then I can’t complain. I just got to stop procrastinating. 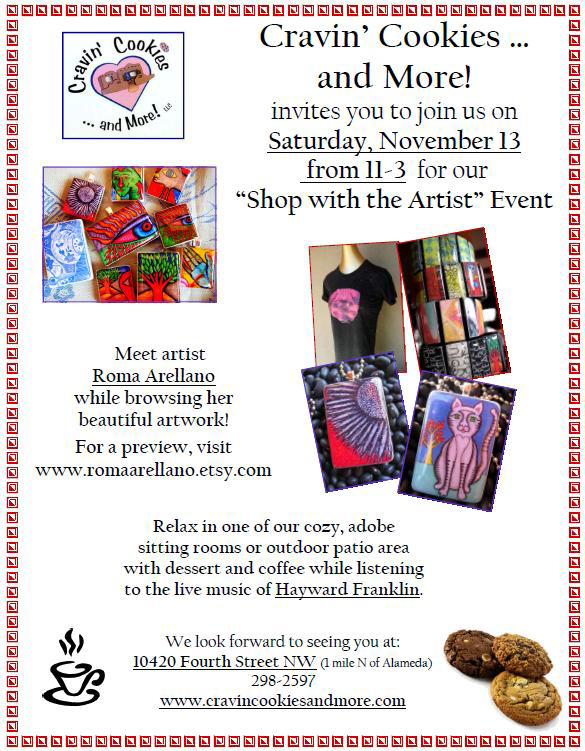 Tomorrow I’ll be the featured artist at a wonderful little bakehouse called Cravin’ Cookies. It’s one of those best-kept-secret type places, inside an old house. Barb, the owner, makes the tastiest baked goods. I love her flour-less chocolate torte. And her Key Lime pie. And peanut butter cookies. Yum! Hope to see my Albuquerque friends tomorrow!